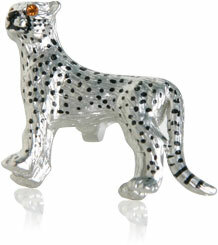 These gleaming silver cheetahs are just the thing to brighten up your look and liven it with something new and exciting. You don't see too many people walking around with animals this realistic about their sleeves, and your cufflinks are sure to be the talk of many conversations. They're covered in jet black accents. 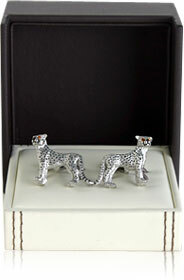 You get speckles, strips and everything in between with these cufflinks. The set also has a pair of bright reflective crystal eyes. They're topaz in color and made from crystallized Swarovski Elements. 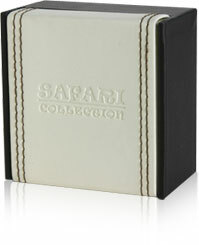 If you like animals you'll love this set, and if you don't you're sure to find someone else that does. 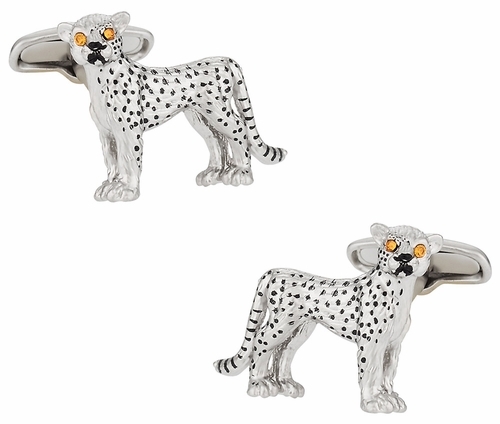 Despite the small size of these cuff links, the cheatah is highly detailed and has a good contrast between the black spots and the silver background. 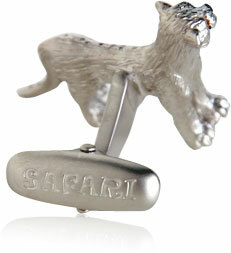 The cheatah makes a great cuff link design due to its power and cunning.